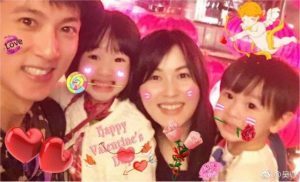 In an October 2013 blog post, Wu Chun (吳尊) blissfully confessed to being a new father, and that he and his wife, Lin Liying (林麗瑩), have been married since 2009. The couple have two children—daughter Nei Nei, who was born in October 2010, and son Max, born in October 2013. His family already had plans for him to study abroad before he started dating Liying. 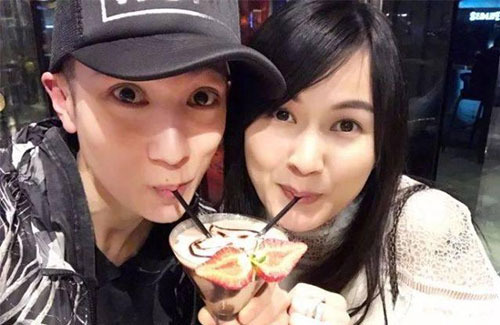 Right after their relationship started, Wu Chun moved to Australia for school. It was a long month for Wu Chun. Y’know, I was never much of a Wu Chun fan. I thought his face was too narrow. But, he seems like a decent guy. And he’s right about the relationship piece. You can start a spark with anyone, but maintaining it is the most difficult part. And eventually all sparks simmer down to embers. Chasing after sparks isn’t sustainable. @coralie He looks pretty good in person, and his star-power just completes the package. At the end of the day, I think it’s character that says and tells it all. Wise guy in his take on relationship and marriage. His wife is a nice person as far as I know. Quiet and demure. That adds a lot to sustaining a celebrity’s marriage that has to stand up and against the tests of trying times whether he or she likes it or not. Liying is for sure a nice person. That I cannot deny. She is the person behind her husband’s success! Lin must love him very much to not mind being the invisible woman until the public found out very much like Carol Chu. Good that both women’s tolerance and love paid off. Their children are super adorable! !